Long summer days calls for good music, friends, and exploring new places. What better way than with a summer road trip? Head south of Melbourne and you’ll find yourself on the Great Ocean Road – a winding highway hugging the Australian’s southern ocean, taking you passed some of the most spectacular coastlines in the world. Grab a surfboard, your swimmers and a camera, and be prepared to make a few stops along the way. It took us about eight hours to get to these four stops (and there’s still quite a few more we missed out on! ), but you could quite easily take a few days to drive the full 243km and take the time to enjoy the most out of the scenic landscapes, awesome beaches and tranquil forest walks. Just outside of Lorne you’ll see signs pointing towards Erskine Falls, a gorgeous 30m waterfall nestled within a luscious forest. A quick five minute walk from the carpark will take you to the viewing platforms – though be careful, the stairs are a little steep (and G smashed his phone jumping down them). 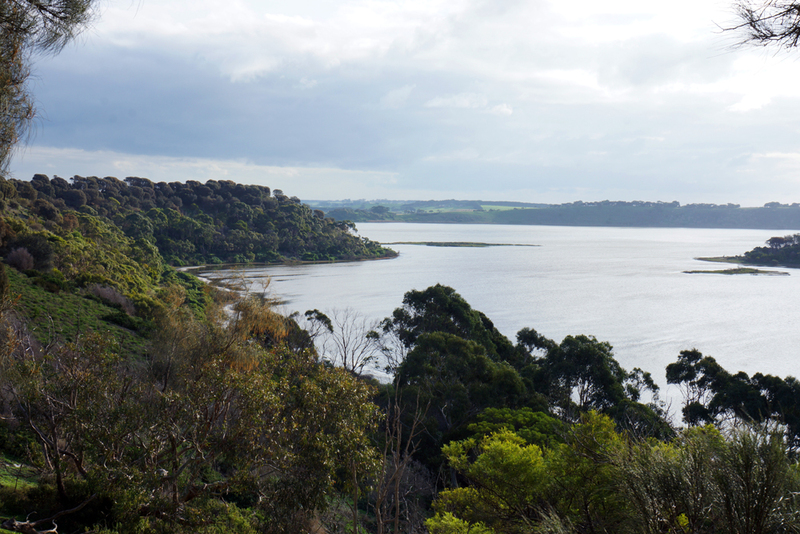 If you like a good stroll, there’s another 7.5km walk going from the waterfalls and back into Lorne, following alongside the river. You’ll also get to pass two other falls for some quick snaps – Straw Falls and Splitter Falls. Dubbed Australia’s most important, Cape Otway Lighthouse Station is the country’s oldest working lighthouse. The picturesque lighthouse is part of a heritage precinct with many of the original building still intact, complete with information on the area (even a few dinosaur fossils to boot). Take a tour, and listen to some of the station keeper’s interesting stories – we’re sure he’d throw in a few ghost stories for you too. Accommodation at the station is also available, if you want to take a few days out to explore the surrounding Great Otway National Park. Probably the most iconic feature of the Great Ocean Road coastline, the Twelve Apostles are a collection of limestone stacks that are simply breathtaking to behold. There are only eight left, after the ninth collapsed in 2005. You should definitely have them on your bucket list, before erosion completely removes them – though eventually, the constant wave action should make more Apostles out of the coastline. 10/10 would go again. Thought Australia had no volcanoes? You thought wrong. Tower Hill is a 4km-wide inactive volcano, whose crater wall protects a thriving native wildlife ecosystem. It’s also a fantastic spot to stop for a picnic lunch – you might even have a few emus decide to join you. We swung off the Great Ocean Road to head towards the Grampians, so we didn’t get to make every attraction along the way – what landmarks have you stopped to see?